Let Us Fight To Help You Get The Settlement You Deserve. You Don't Pay Any Fees Until We Win! Compensation for injuries sustained in preventable accidents. Motorcyclists injured in collisions caused by others are entitled to compensation. A boating accident can change your life's course. We will guide you through this crisis. Restaurants and bars may be liable for over-serving alcohol and acts of violence. You could be compensated for negligent property maintenance causing injury. Companies should be held liable for dangerous products that cause harm. Slip and fall accidents are often a result of dangerous or negligent conditions. Animal owners need to be held accountable for injuries inflicted on others. At Curran Law Firm our team is committed to getting you the very best results. 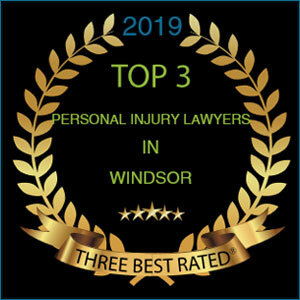 Windsor personal injury lawyer Peter Curran is a knowledgeable and passionate lawyer who has built a reputation of ensuring his clients are fully compensated for their pain and suffering. Curran Law Firm team provides expert legal advice to help you and your family obtain the best possible resolution. When you or someone you love is injured, you will need to make a lot of decisions quickly and you may be confused about how to proceed. Seeking immediate medical attention for any injuries should always be your first priority. Seeking the advice of an experienced personal injury lawyer is an important next step. At Curran Law Firm, you can rely on our expertise to simplify the process for you while you focus on healing from your injuries. Curran Law Firm works on a contingency basis, which means you don’t pay until we win your case. If you’ve been injured in a car accident, hurt on the job, or traumatized as a result of another person’s irresponsible conduct, you don’t have to face the consequences alone. We understand how an accident can change your life in many different ways. Being injured, out of work, and undergoing surgery and therapy can take a massive toll on you and your family. We believe that people or companies who injure others should be held accountable for their negligence. We will take your case all the way to trial to ensure that you get the best possible result. Areas of Expertise – ​Curran Law Firm has expertise with claims related to: truck/car accidents, motorcycle accidents, product liability, premises liability, slip and fall accidents, restaurant and bar liability, boating accidents, and dog bites. Contact our Windsor / Essex County office 24 hours a day. We are always available to do house and hospital calls. Contact us today at 1-888-882-8121.